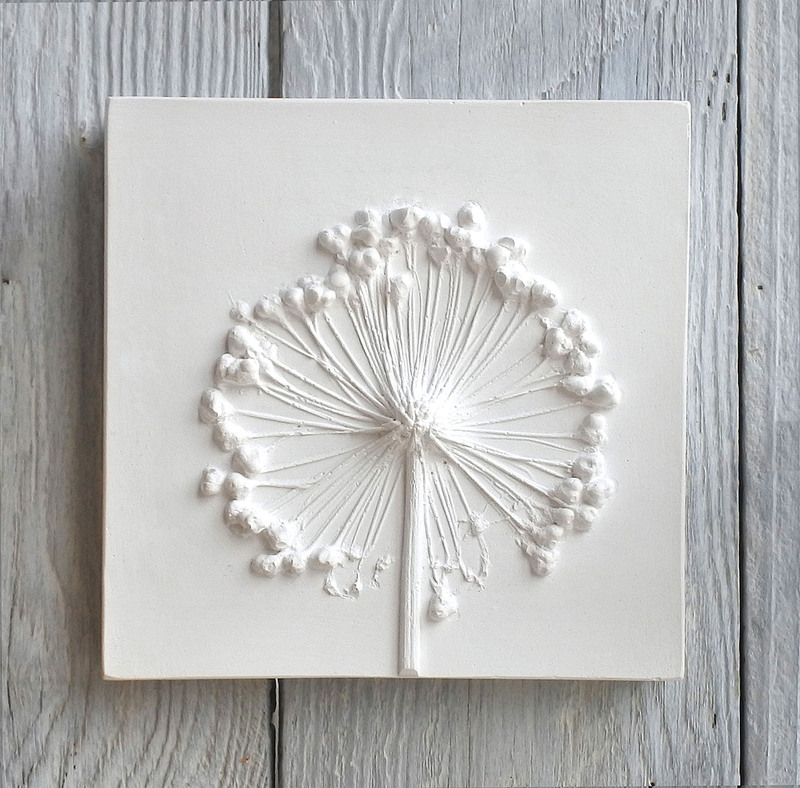 During the workshop you will be able to create two cast tiles. 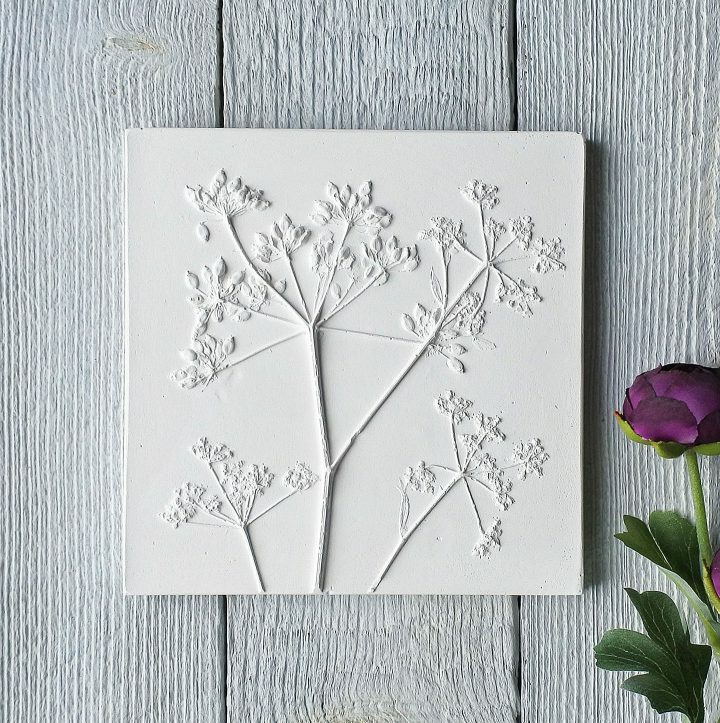 You will learn how to use a wooden frame, roll out the clay and arrange a selection of flowers / plants / foliage to create an interesting composition, Fiona will bring these, although you are welcome to bring along your own flowers etc. if you like. 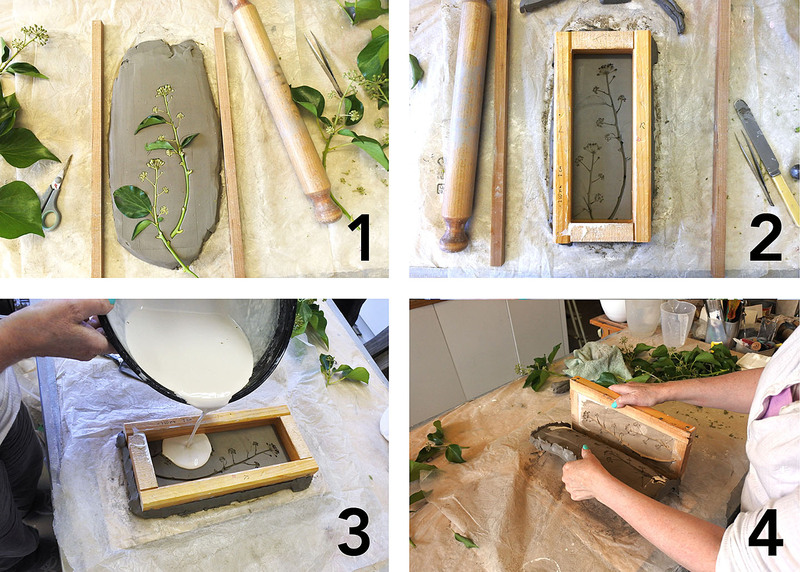 Fiona will show you how to remove the plants etc from the clay & then position the frame before mixing the plaster and pouring it over the clay. Now is a good time for some tea and coffee as it takes about 20 mins for the plaster to set depending on the room temperature. We need to drill a small hole in the back of the tile so it can be hung up, we’ll do this with a hand drill. Now the exciting bit removing the clay to reveal the impression of the flowers. Next we remove the wooden frame, the surface of the plaster will be coloured by the residue clay at this stage. 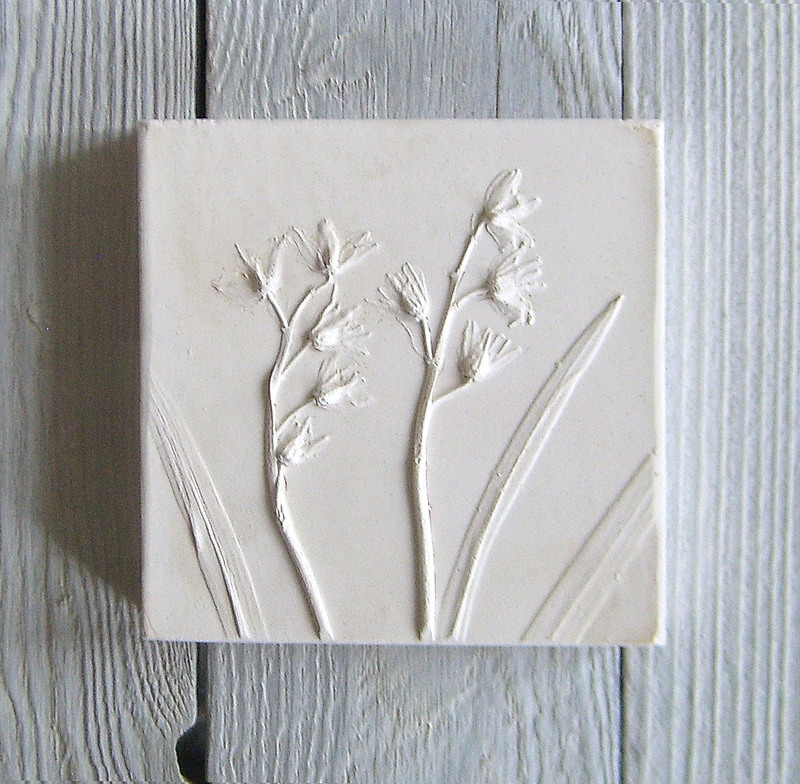 Fiona will demonstrate how to smooth off the edges & clean the tile with water & a nailbrush. The cleaning is best left until the following day so that the plaster is fully set and you won’t damage the relief image. But you can smooth off the edges at the workshop. At the end of the session you will be able to buy materials from Fiona if you want to make more tiles at home. The workshop costs £65. This includes a deposit of £30, this is non refundable (unless I need to cancel or change dates and then it will be refunded), the balance of £35 needs to be paid 14 days before the workshop. Because of the available space in Fiona’s workshop there will only be 4 people at each session, so you will get lots of help & advice. You may want to bring an apron along to protect your clothes, avoid wearing rings and bracelets, as you will get clay on them. Any queries please get in touch. 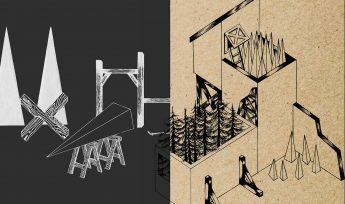 Spring Open Studios 2019 | Spring is on the way! Enter your email address below and sign up to receive news and information on events, exhibitions and workshops at 36 Lime Street.